One evening in April 1968, three veteran golfers, CC Tan, Norman Sutcliffe and Low Kee Pow, after a keen and enjoyable round sat down for refreshment at the 19th hole. They reminisced about their other veteran golfing friends and before the night was over, the trio decided to take immediate steps to form a body of senior Singapore golfers. They reckoned that such a body could enable the regular and frequent meeting up of veteran golfers through organised friendly matches. On May 18, 1968, 23 veteran golfers turned up at the main hall of the Singapore Island Club. CC Tan drafted the proposed Rules and Constitution, and explained the provisions which were unanimously accepted. 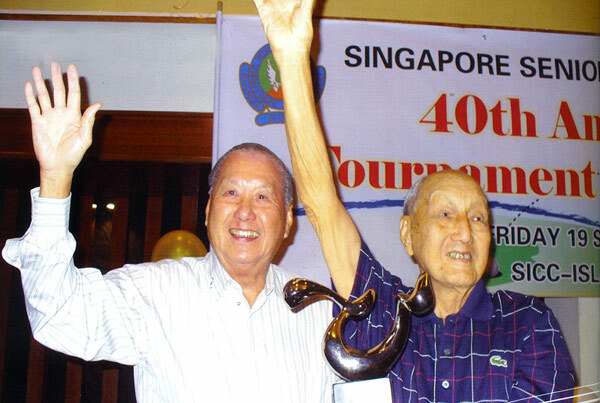 Thus was born the Singapore Senior Golfers' Society. CC, as he was affectionately known, was elected the President, Low Kee Pow the Honorary Secretary, and Norman Sutcliffe the Captain. CC served as President until 1973. Under his wise leadership, the Society Continued to grow in popularity and stature. In 1973, he felt that a younger senior should take 'the helm and at the ensuing Annual General Meeting, he proposed Cheong Wing who was duly elected the new President. Cheong Wing skillfully steered the Society through the next five years of further growth. When he handed over the presidency to CP Chan in 1978, the membership had grown to more than 200. CP Chan continued the good work and in 1992 declined further nomination for President for personal reasons. Cheong Wing was again elected President and inherited a membership of just over 500. The only major change to the Constitution occurred in 1991 when, in keeping with international practice, the age for joining the Society was increased from 50 to 55 years. On the demise of Cheong Wing in 2003, Toh Shung Chee was elected President. The Society gained new vibrancy under Ton's leadership and there was an increase in membership to more than 600 members. He was re-elected without contest until 2010 when he stepped down due to poor health. Loh Ah Joo took over the helm as President from 2010. Although the Singapore Senior Golfers’ Society had its origin at the Singapore Island Country Club, the membership includes golfers from virtually every golf club in Singapore. Total membership as at December 2015 was 625. 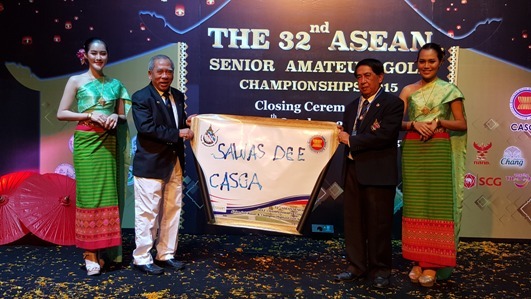 The Society is active in the Asean senior golfer's scene. 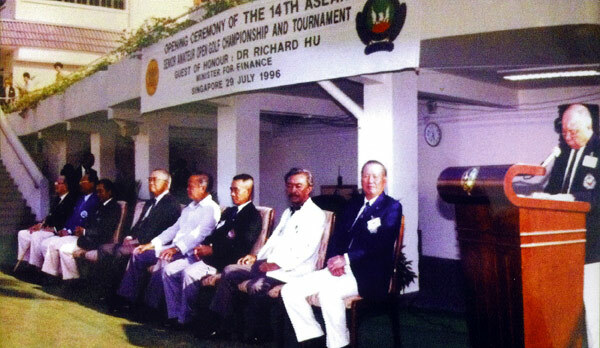 It hosted the inaugural Asean Senior Amateur Golf Championship in 1983, and subsequent Championships: the 3rd (1985), the 8th (1990), the 19th (2002), the 25th (2008) and the 31st (2014). Strong contingents have represented the Society when the championships were hosted by the other Asean countries in turn. This year's 32nd ASEAN Senior Amateur Golf Championship was held in Chiangmai, Thailand which was strongly supported by our members at the event. Members of the Society have also participated in the World Amateur Veteran Golfers' Championship held in Broadmoor, U.S.A. as well as the country Veterans/Seniors championships of Australia, New Zealand, Indonesia, Malaysia and most recently in Qingdao, China for the APGC.